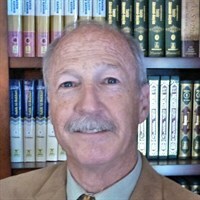 MainOpEdsExamining the "Ten Truths about Jihad"
The Muslim Reform Movement's attempts to represent a merciful, inclusive Islam are best called Fantasy Islam. Learn what the Koran says here. The writer is the author of three books, and numerous articles and pamphlets about Islam. His most recent book is "Islam According to Muhammad, Not Your Neighbor." In order to understand the Doctrine of Abrogation we must first get a basic understanding of the Koran. The Koran is the sacred book of Islam. The verses of the Koran were delivered to Muhammad through the angel Jibril (Gabriel) in a series of "revelations." Muhammad started receiving these "revelations" in Mecca in 610; they continued through his emigration to Medina in 622, and ended only with his death in Medina in 632. 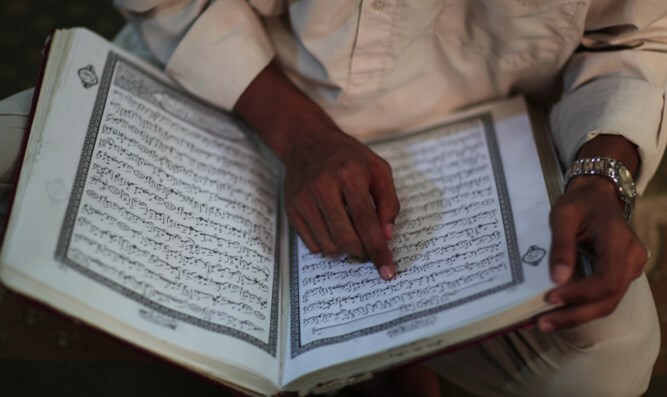 Translations of the Koran usually indicate whether a chapter was “revealed” in Mecca or in Medina. However, this does not automatically mean that the verse was “revealed” when Muhammad was physically in Mecca or physically in Medina. It is rather a common shorthand approach that refers to the Meccan time period (610-622) and the Medinan time period (622-632), because Muhammad received “revelations” even when he was not physically in either one of those two cities. There is an important significance to when a verse or chapter was "revealed." While in Mecca, the religion of Islam was just starting and it was generally not well received. Perhaps as a result of this, the verses of the Koran “revealed” during the Meccan period were generally more peaceful and accommodating toward non-Muslims than the verses “revealed” later in the Medinan period. The verses from the Medinan period had a general tendency to be more belligerent and intolerant, and more inclined to make sharp differentiations between Muslims (believers) and non-Muslims (disbelievers). This can lead to an irreconcilable contradiction between the message of a Meccan verse and that of a Medinan verse addressing the same topic. But how can there be such a contradiction if the Koran is the timeless, perfect, and unchangeable word of Allah? This was covered in a Medinan verse in the Koran that introduced the concept of “abrogation” - Chapter 2, Verse 106: Whatever a Verse (revelation) do We abrogate or cause to be forgotten, We bring a better one or similar to it. Know you not that Allah is Able to do all things? So if there was an irreconcilable contradiction between the messages of two “revelations” in the Koran, then the most recent “revelation” abrogated (superseded) the earlier one and was now the one to be followed. Consequently, a “revelation” made in the Medinan period would supersede a similar, earlier “revelation” made in the Meccan period. Both verses remain in the Koran because they are considered the words of Allah, but it is the most recent “revelation” that now carries the doctrinal authority. Chapter 2, Verse 216 Jihad (holy fighting in Allah's Cause) is ordained for you (Muslims) though you dislike it, and it may be that you dislike a thing which is good for you and that you like a thing which is bad for you. Allah knows but you do not know. What do authoritative Koran commentaries (tafsirs) say about this verse? So the “peaceful” verses Hasan relied on for this first “truth” were actually abrogated shortly after the Muslims emigrated to Medina. During his 13 years’ mission in Mecca, the Prophet and his followers were subjected to persecution, but were ordered to remain patient and nonviolent. 4:77: "Withhold your hands (from violence in self-defence): establish prayer and give in charity"
Have you not seen those who were told to hold back their hands (from fighting) and perform As-Salat (the prayers), and give Zakat (obligatory charity), but when the fighting was ordained for them, behold! a section of them fear men as they fear Allah or even more. The early Muslims in Mecca were ordered to remain patient and non-violent for practical reasons, but the Muslims were actually eager for the time when they would be allowed to fight the non-Muslims. This was also reported in other Koran commentaries. During the Prophet’s 10-year mission in Medina, military jihad in self-defence was eventually permitted. The Muslims emigrated to Medina in the Fall of 622, and they were initially commanded to fight only in self-defense, as found in 22:39-40. But that restriction did not last long. As I pointed out in addressing the first “truth,” in May 623, 2:216 of the Koran was “revealed.” This verse commanded Muslims to fight non-Muslims everywhere simply because they were not Muslims. a particular commandment that decrees the fighting and killing of disbelievers, and means to fight against them defensively and offensively, through the ages, whenever and wherever they are found. It is an unqualified command to fight without any precondition of hostilities being initiated by the unbelievers. Hasan claimed that “only a legitimate authority can declare a state of war or military jihad.” According to Hassan, this meant that “only legitimate states” have that authority, and “non-state actors such as terrorist groups” have no such “Islamic authority.” He referred to Koran verses 4:84 and 8:61 as examples of how only Muhammad was given that authority during his lifetime. But what about after Muhammad? Are “legitimate states” the only ones with that authority? It’s not as cut-and-dried as Hasan presented. It is offensive to conduct a military expedition against hostile non-Muslims without the caliph’s permission ([Durubi added]; though if there is no caliph, no permission is required). Waging the holy war is not permissible without the consent of the commander [amir], except by those who are threatened by an enemy…or who are presented with an opportunity they are afraid of missing [my emphasis]. Hasan also referred to two Koran verses (4:84 and 8:61) to show that during Muhammad’s time only he was authorized to declare a state of war. But as we saw in the previous section, and shall see in the next section, there were subsequent Koran verses that made it incumbent on Muslims to engage all non-Muslims in offensive jihad. Hasan’s approach in explaining this “truth” is a combination of omission and misunderstanding of a Koran verse. This verse ended by saying that the only way the Mushrikun (non-Muslims) could save themselves was by converting to Islam. Chapter 9, Verse 123: O you who believe! Fight those of the disbelievers who are close to you, and let them find harshness in you; and know that Allah is with those who are Al-Muttaqun (the pious [believers of Islamic Monotheism]). Allah commands the believers to fight the disbelievers, the closest in area to the Islamic state, then the farthest. This is why the Messenger of Allah started fighting the idolators in the Arabian Peninsula. When he finished with them…and the various Arab tribes entered Islam in large crowds, he then started fighting the People of the Scriptures. The verse sets an important rule for strategy for jihad: Muslims should fight those disbelievers first who are close, followed by those who are further, then the next, and so on, in the same order. Chapter 9, Verse 29: Fight against those who believe not in Allah, nor in the Last Day, nor forbid that which has been forbidden by Allah and His Messenger (Muhammad), and those who acknowledge not the religion of truth (i.e. Islam) among the people of the Scripture (Jews and Christians), until they pay the Jizyah with willing submission, and feel themselves subdued. In reality, this verse was “revealed” around March 631 after 9:28 had been “revealed” banning non-Muslims from Mecca after the year 631. After 9:28 had been “revealed” there was concern among the Meccans that they would lose money if the non-Muslims were prohibited from coming to Mecca. So 9:29 was “revealed” as a monetary compensation for the anticipated loss in voluntary trade:…when Allah commanded that the polytheists be prevented from coming near Masjid Al-Haram whether during the Hajj or any other time, the Quraish said: “It will certainly infringe on our commerce and markets during Hajj, and it will deprive us from our gains,” but Allah compensated them for that with the command to wage war on the People of the Book until they become Muslims or they pay the Jizyah with willful submission, and feel themselves subdued. So with 9:5, 9:29 and 9:123 we have Koran verses undermining Hasan’s claim that belligerent Koran verses about jihad pertained only to self-defense; and these belligerent verses are among the final, timeless commands from Allah to all Muslims. In the year 624 we have 8:39: And fight them until there is no more Fitnah (disbelief and polytheism, i.e., worshipping others besides Allah), and the religion (worship) will all be for Allah Alone (in the whole of the world). But if they cease (worshipping others besides Allah), then certainly, Allah is All-Seer of what they do. Our authoritative Koran commentaries explained that this verse meant the Muslims were to fight non-Muslims until only Islam prevailed. In the year 629 we have 2:193: And fight them until there is no more Fitnah (disbelief and worshipping of others along with Allah) and (all and every kind of) worship is for Allah (Alone). But if they cease, let there be no transgression except against Az-Zalimun (the polytheists and wrongdoers). As before, our authoritative Koran commentaries explain that this verse commanded the Muslims to fight non-Muslims until only Islam prevailed. In the time period 630-631 we have 9:33 which said that Allah had sent Muhammad to make Islam "superior over all religions." This way, they will have no choice, but to die or embrace Islam. Also in 631 we have 9:29 which states that if you are a Mushrikun who is a Christian or a Jew, the only way to coexist with the Muslims without fighting them to the death or converting to Islam is to pay the jizyah, "with willing submission" and feeling "subdued." It has been narrated on the authority of 'Abdullah b. Umar that the Messenger of Allah said: I have been commanded to fight against people till they testify that there is no god but Allah, and Muhammad is the Messenger of Allah, they establish the prayer, and pay the Zakat. If they do it, their blood and property are guaranteed protection on my behalf except when justified by law, and their affairs rest with Allah. So only by ignoring the Doctrine of Abrogation, along with the teachings and history of Muhammad, can Hasan claim that jihad was legislated to protect and promote religious freedom. There are a number of hadiths about Muhammad prohibiting the killing of women and children in war. I looked into this matter and I found that the vast majority of military actions during the life of Muhammad showed no record of Muhammad having prohibited the killing of women and children. The few times that he did issue such prohibitions in military actions were interspersed with the targeting of individual women for killing, and with military actions in which women and/or children were among the targets of attack. The historical record shows that instead of it being a general, all-encompassing command issued by Muhammad to every Muslim military leader, and a part of Islamic doctrine, the prohibition against the killing of women and children was a specific, situational prohibition based on Muhammad’s judgments and the demands of battle at the time. Hasan’s prophet Muhammad explained what striving in “Allah’s Cause” meant: Narrated Abu Musa: A man came to the Prophet and asked, "O Allah's Messenger! What kind of fighting is in Allah's Cause? (I ask this), for some of us fight because of being enraged and angry and some for the sake of their pride and haughtiness." The Prophet raised his head (as the questioner was standing) and said, "He who fights that Allah's Word (i.e. Allah's Religion of Islamic Monotheism) should be superior, fights in Allah's Cause." Hasan said that jihad was a struggle for good against evil. So according to Muhammad and the Koran, the “good” is making Islam superior over all other religions (which are the “evil”), and Muslims will be rewarded with Paradise if they kill and die in that effort. For this Hasan largely relied on the following quote: "We have returned from the lesser jihad to the greater jihad," i.e. from the lesser, military jihad to the greater jihad of lifelong struggle against evil. However, over the centuries Muslim scholars have debunked the idea that Muhammad said anything about a lesser jihad/greater jihad. For example, the Muslim scholar Ibn Taymiyah (1263–1328 AD) stated: The hadith of “We returned from the minor Jihad to the major Jihad” is fabricated and is not narrated by any of the scholars who have knowledge of the words of Rasulullah [Muhammad], his actions and his Jihad against the nonbelievers. This phrase has become widespread, mentioned both in gatherings and in print, yet despite its popularity in terms of how often it is quoted, it cannot correctly be attributed to the Prophet. As I pointed out in the fourth “truth,” a “legitimate authority” is not necessarily required in order for one to engage in jihad. As shown above, Islamic teachings about jihad are essentially spiritual and non-violent. Muhammad provided the best response to this claim: Narrated Abu Hurairah: The Prophet said, "Allah assigns for a person who participates in (holy battles) in Allah's Cause and nothing causes him to do so except belief in Allah and in His Messengers, that he will be recompensed by Allah either with a reward, or booty (if he survives) or will be admitted to Paradise (if he is killed in the battle as a martyr)." The Prophet added: "Had I not found it difficult for my followers, then I would not remain behind any Sariya (an army-unit) going for Jihad and I would have loved to be martyred in Allah's Cause and then made alive, and then martyred and then made alive, and then again martyred in His Cause." And we should remember, 33:21 of the Koran states that Muhammad is the perfect man, and the person Muslims should emulate if they hope to meet Allah in Paradise. ;As I had pointed out in an earlier article, since its founding the MRM has had problems getting support from the larger Muslim community. Continuing to create “diverse” versions of Islam that sound appealing to non-Muslims, but largely ignore or even go against Islamic Doctrine that has been established for over a millennium, will certainly not help the MRM in garnering that support. Stephen M. Kirby, “The Muslim Reform Movement plays Fantasy Islam,” FrontPage Mag, December 10, 2015; accessible at http://www.frontpagemag.com/fpm/261067/muslim-reform-movement-plays-fantasy-islam-dr-stephen-m-kirby. Chapter 22 of the Koran includes some verses revealed in Mecca and others revealed in Medina. For the determination that 22:78 is a Meccan verse I am using Pickthall’s comments in The Meaning of the Glorious Koran, trans. Marmaduke Pickthall (1930; rpt. New York: Alfred A. Knopf, 1992), p. 338. Abu 'Abdullah Muhammad ibn Ahmad al-Ansari al-Qurtubi, Tafsir Al-Qurtubi: Classical Commentary of the Holy Qur'an, Vol. 1, trans. Aisha Bewley (London: Dar Al Taqwa Ltd., 2003), p. 321. For how this date was determined, see Stephen M. Kirby, Islam’s Militant Prophet: Muhammad and Forced Conversions to Islam, n. 63, p. 32. ‘Abd ar-Rahman b. Nasir as-Sa’di, Tafsir As-Sa’di, trans. S. Abd al-Hamid (Floral Park, New York: The Islamic Literary Foundation: 2012), Vol. 1, pp. 152-153. Abu al-Fida' 'Imad Ad-Din Isma'il bin 'Umar bin Kathir al-Qurashi Al-Busrawi, Tafsir Ibn Kathir (Abridged), abr. Shaykh Safiur-Rahman al-Mubarakpuri, trans. Jalal Abualrub, et al. (Riyadh, Kingdom of Saudi Arabia: Darussalam, 2000), Vol. 2, pp. 517-518. Tafsir as-Sa’di, Vol. 1, pp. 389-390; Salahuddin Yusuf, Tafsir Ahsanul-Bayan, trans. Mohammad Kamal Myshkat (Riyadh, Kingdom of Saudi Arabia: Darussalam, 2010), Vol. 1, pp. 484-485; and Jalalu’d-Din al-Mahalli and Jalalu’d-Din as-Suyuti, Tafsir Al-Jalalayn, trans. Aisha Bewley (London: Dar Al Taqwa Ltd., 2007), p. 202. Abu'l-Hasan 'Ali ibn Ahmad ibn Muhammad ibn 'Ali al-Wahidi, Al-Wahidi's Asbab al-Nuzul, trans. Mokrane Guezzou (Louisville, KY: Fons Vitae, 2008), p. 23; Tafsir Al-Qurtubi, p. 490; and Tafsir Al-Jalalayn, p. 69. Tafsir as-Sa’di, Vol. 1, p. 133. Muhammad ibn ‘Abdul Wahhab at-Tamimi, Abridged Biography of Prophet Muhammad, ed. ‘Abdur-Rahman bin Nasir Al-Barrak, ‘Abdul ‘Azeez bin ‘Abdullah Ar-Rajihi, and Muhammad Al-‘Ali Al-Barrak (Riyadh, Kingdom of Saudi Arabia: Darussalam, 2003), p. 113. Ahmad ibn Naqib al-Misri, Reliance of the Traveller (Umdat al-Salik), A Classic Manual of Islamic Sacred Law, edited and translated by Nuh Ha Mim Keller (Revised Edition 1994; rpt. Beltsville, Maryland: Amana Publications, 2008), o9.6. Abu Ammaar Yasir Qadhi, An Introduction to the Sciences of the Qur’aan (Birmingham, UK: Al-Hidaayah Publishing, 1999), p. 252. Tafsir Ibn Kathir, Vol. 4, p. 376. Abu al-Fida' 'Imad Ad-Din Isma'il bin 'Umar bin Kathir al-Qurashi Al-Busrawi, Tafsir Ibn Kathir (Abridged), abr. Sheikh Muhammad Nasib Ar-Rafa’i, trans. Chafik Abdelghani ibn Rahal (London: Al-Firdous Ltd., 1998), Part 10, p. 90. Tafsir Ibn Kathir, Vol. 4, p. 546. Tafsir Ahsanul-Bayan, Vol. 2, p. 425. 'Imaduddeen Isma'eel ibn Katheer al-Qurashi, Winning the Hearts and Souls: Expeditions and Delegations in the Lifetime of Prophet Muhammad, trans. Research Department of Darussalam (Riyadh, Kingdom of Saudi Arabia: Darussalam, 2010), p. 116. The same explanation for the “revelation” of 9:29 was given in Tafsir Ibn Kathir, Vol. 4, pp. 403-404; and Muhammad ibn Ishaq, The Life of Muhammad (Sirat Rasul Allah), trans. Alfred Guillaume (Karachi, Pakistan: Oxford University Press, 2007), p. 620. Tafsir Al-Jalalayn, p. 385, Tafsir Ibn Kathir, Vol. 4, p. 315, Tafsir Ahsanul-Bayan, Vol. 2, p. 293, and Tafsir as-Sa’di, Vol. 2, p. 105. Abu'l Hussain 'Asakir-ud-Din Muslim bin Hajjaj al-Qushayri al-Naisaburi, Sahih Muslim, trans. ‘Abdul Hamid Siddiqi (New Delhi, India: Adam Publishers and Distributors, 2008), Vol. 1, No. 22, pp. 21-22. Sahih Muslim, Vol. 5, No. 1731R1, p. 163. Stephen M. Kirby, Islam According to Muhammad, Not Your Neighbor, pp. 23-58. Abu Dawud Sulaiman bin al-Ash'ath bin Ishaq, Sunan Abu Dawud, trans. Yaser Qadhi (Riyadh, Kingdom of Saudi Arabia: Darussalam, 2008), Vol. 3, No. 2670, p. 296. The Meaning of the Glorious Koran, p. 338. Muhammad bin Ismail bin Al-Mughirah al-Bukhari, Sahih Al-Bukhari, trans. Muhammad Muhsin Khan (Riyadh, Kingdom of Saudi Arabia: Darussalam, 1997), Vol. 1, Book 3, No. 123, p. 128. Islam According to Muhammad, Not Your Neighbor, pp. 115-123. Sahih Al-Bukhari, Vol. 4, Book 56, No. 3084, p. 196. Sahih Al-Bukhari, Vol. 1, Book 2, No. 36, pp. 72-73. Muhammad bin Yazeed ibn Majah al-Qazwini, Sunan Ibn Majah, trans. Nasiruddin al-Khattab (Riyadh, Kingdom of Saudi Arabia: Darussalam, 2007), Vol. 4, No. 2794, p. 65. Stephen M. Kirby, “Muslim Reform Group Reached Out to 3,000 US Mosques, Got Only 40 Responses,” Jihad Watch, February 24, 2017; accessible at https://www.jihadwatch.org/2017/02/muslim-reform-group-reached-out-to-3000-us-mosques-got-only-40-responses.